US President Donald Trump made steel dumping one of his favourite punching bags during last year’s election campaign. “We are going to be addressing the steel dumping,” he insisted last week in an interview with the Wall Street Journal. Depending on the results of an investigation his administration launched in April, he is ready to impose tariffs on products and sectors from across the world on the grounds of national security. European Commission President Jean-Claude Juncker in June said Europe would be ready to retaliate “within days” if the war drums started sounding in the White House. 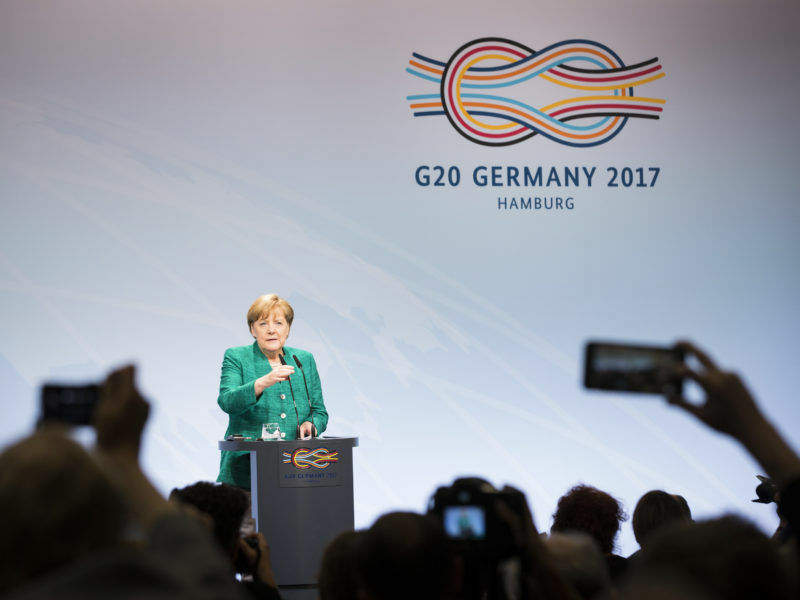 But during the last G20 summit, held in Hamburg in early July, German Chancellor Angela Merkel averted the looming trade war. She convinced the most powerful nations, in particular the US, to give the multilateral system a last chance to address the steel overcapacity issue. G20 leaders gave the steel excess capacity forum, a group set up last year, until August to achieve some progress. “We have quite an ambitious timetable,” Merkel admitted in Hamburg. But if countries fail to meet the deadline set, “we will not be able to solve this [issue] at a multilateral forum”, she warned. Donald Trump could block steel imports for reasons of national security. Europe, already in conflict with China over dumping in the sector, will attempt to mobilise opposition to this move. EURACTIV France reports. But half way toward the deadline, the group has not advanced enough. Countries are dragging their feet on sharing the information that has been requested. Based on that data, the OECD was tasked by the G20 to prepare policy recommendations by November. 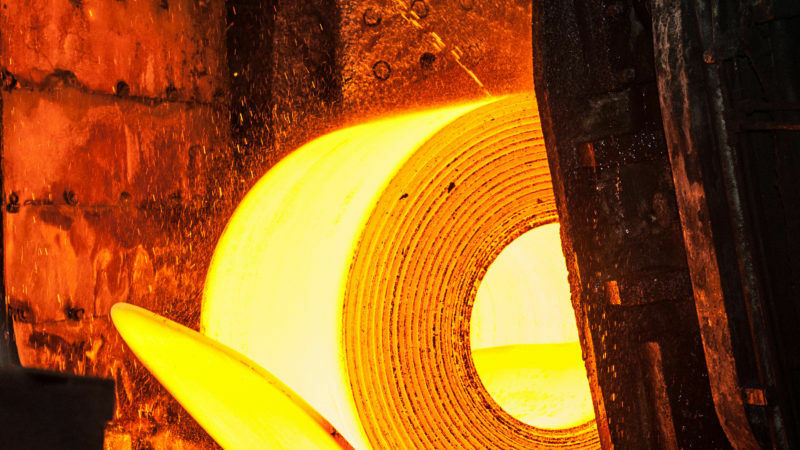 The forum members must share information on their steel capacity and the government subsidies that could lead to excess capacity and create market distortions. But officials familiar with the discussion told EURACTIV that “important” information gaps remain. In Brussels, the blame is laid squarely at China’s feet. EU officials reiterate that it is China that is stalling. In addition, the country broke a new production record last June as its steel production rose 5.7% in June. Since 2000, Beijing has accelerated its steel production, raising its share of the world market from 15% to almost 50%, greatly supported by subsidies and other public measures. But China claims that 86% of its production is for domestic consumption. 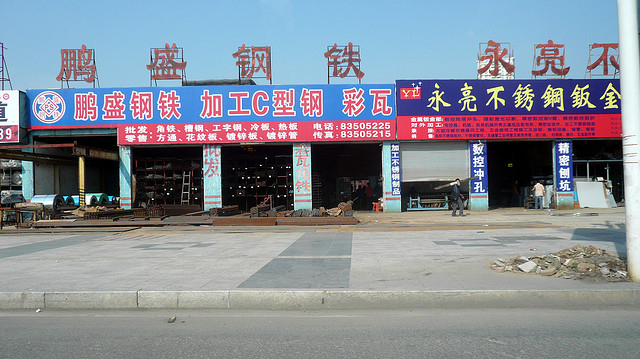 During the China-EU Business Summit held in June, Chinese Prime Minister Li Keqiang said that his government “does not subsidise steel exports”. Officials close to the forum said that the problem is much larger inside the forum, as almost all countries have not provided all the necessary information, both on the capacity and the government subsidies. Despite the significant gaps still to be filled, the group is not going to meet again before the end of August, the officials confirmed. The members will meet in a global forum (including 33 members ) on 25-27 September. The forum could still succeed in having a clear picture of steel overcapacity by the deadline, and policy recommendations could follow in autumn, the sources familiar with the group discussion hoped. But this optimism seems a risky gamble given the slow progress made so far in the three previous meetings held since the group started working last December. Even more so given Trump’s unpredictable reactions. Brussels officials believe that Trump could end up imposing tariffs regardless of the progress made and the results by the global forum. 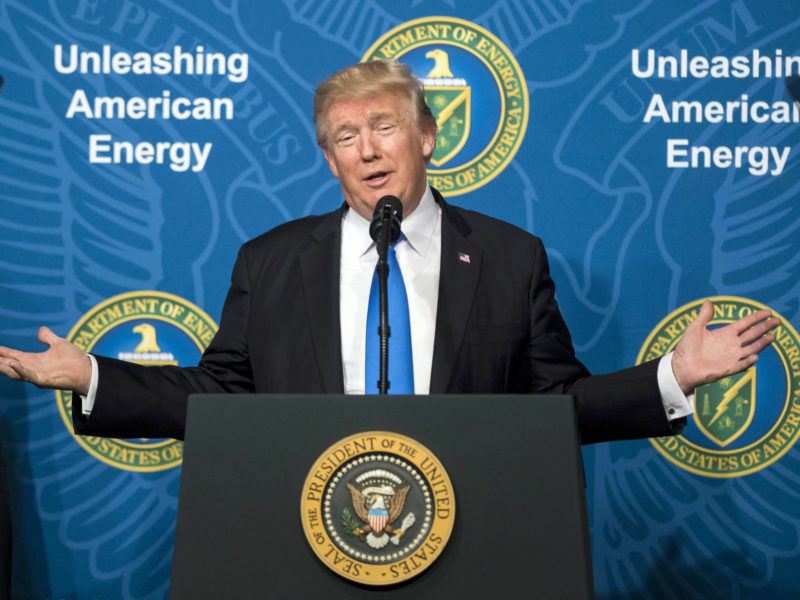 Eight projects involving European companies could be affected by US sanctions if Congress passes a bill on Tuesday (25 July) to hit firms working with Russia in the energy sector. Still, an EU official believed it a “good signal” that no measures were announced so far since the White House threatened sanctions before the G20 meeting in early July. In his interview with the Wall Street Journal, Trump said that he would wait to make a decision until he deals with other domestic priorities on his agenda, including tax reform and his plan to revamp national infrastructure. “We don’t want to do it at this moment,” he told the newspaper. 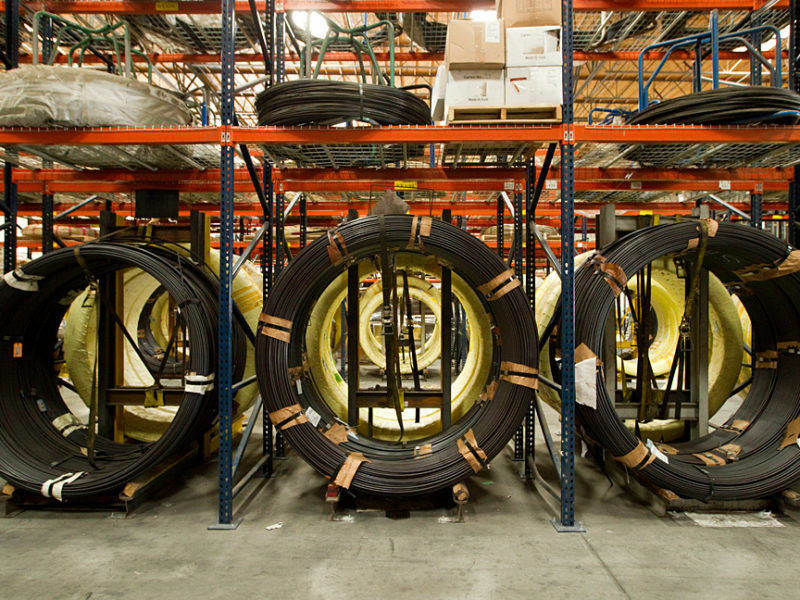 Last April the US administration launched a special investigation into steel imports under a 1962 trade law (section 232) that permits limiting imports if they represent a threat to national security. In the past, only Richard Nixon and Gerald Ford used these powers. Reacting to the US threat, EU Trade Commissioner Cecilia Malmström said at the time that she was “extremely worried”, as this step could trigger a wave of protectionism across the world. Despite Trump making China, the largest steel producer, the primary target of his attacks, the Asian country is far from being one of the main steel exporters to the US. Washington imports most of it from Canada (17%), Brazil (13%) and South Korea (12%). Germany, the top EU exporter in this field, only contributes 4%. Despite the unlikelihood of European countries finding themselves in Trump’s sights, Malmström is concerned about the far-reaching consequences of the US president’s decision. “Even if we are not the target, we will be collateral damage in this process, which is going to hit Europe very hard,” she said. Trump is using the steel sector to charge against China. He has complained several times in the past about the gigantic trade deficit with Beijing, which totalled some €297 billion last year.